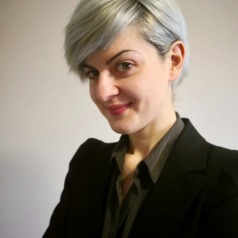 Mateja is a visiting research fellow at the Urban Institute, University of Sheffield and a Postdoctoral Research Fellow at the Nissan Institute of Japanese Studies, University of Oxford. In Sheffield, she is working on the urban robotics and automation project, and on politics of humanoid robots in Japan in Oxford. Mateja is broadly specialised in history and anthropology of technology and science.